Acts 17:30, "God overlooked people's ignorance about these things in earlier times, but now he commands everyone everywhere to repent of their sins and turn to him." Acts 11:18 NIV, "When they heard this, they had no further objections and praised God, saying, 'So then, God has granted even the Gentiles repentance unto life.'" Luke 24:47, "It was also written that this message would be proclaimed in the authority of his name to all the nations, beginning in Jerusalem: 'There is forgiveness of sins for all who repent.'" Mark 1:15, "The time promised by God has come at last!" he announced. "The Kingdom of God is near! Repent of your sins and believe the Good News!" Acts 2:38, "Peter replied, 'Repent and be baptized, every one of you, in the name of Jesus Christ for the forgiveness of your sins. And you will receive the gift of the Holy Spirit.'" 21st century Christians have forsaken God's true message of salvation. Charles Spurgeon obviously saw it coming. 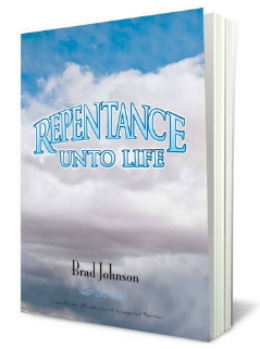 I prove that in my new eBook, Repentance Unto Life, which is named in honor of Acts 11:18 and Charles Spurgeon's great sermon. As irrefutable evidence from the Scriptures above indicate, repentance is required with faith in order to receive eternal life, i.e. forgiveness and salvation. Forgiveness and repentance will be joined together while humans are able to be saved. Grasping God and Bible truth are paramount to receiving God's forgiveness. Repentance and faith expressed by an individual towards God are the keys to receiving his heavenly promises. A Christian's failure to clearly teach Bible truth results in false conversions (aka hypocrites) and corrupt churches. A person's failure to understand Bible truth indicates his or her failure to receive salvation and eternal life with God. "Mark says two things here about repentance. First, understanding is foundational to repentance. Without understanding, a proper response to Jesus is not possible. Understanding is that which makes it possible to respond to Jesus. It is the motive power. Hence it is not surprising that the whole Gospel of Mark is structured around the unfolding understanding on the part of the disciples as to who Jesus is. They need to understand clearly who he is in order to reorient their thinking." Hearing about Jesus, knowing about Jesus, understanding Jesus' holy nature, and his activities, teachings, life, death, resurrection, etc. motivates a person to seek him. The more a person learns about Jesus Christ, the greater the motivation AND empowerment to respond to God in repentance and faith. The process of learning about Jesus Christ reorients one's thinking about God, which is basically the definition of repentance. American Evangelicalism has a weak and powerless message. Biblically, repentance and faith are required human responses for a person's salvation. These two responses to God are NOT human works, but the positive mental and emotional results of God's graceful gifts to a person. The problem lies in today's ignorance of basically everything about repentance. Modern preachers have taken God's plan of salvation into their own hands. My new eBook unearths the surprising discoveries mined from the teachings of three of America's most popular preachers. Joel Osteen from Lakewood Church in Houston, and two others, have their sermons and books biblically evaluated for adherence to God's eternal plan of salvation. Some preachers today are overly concerned about offending a person and damaging their self-esteem. "Osteen softens sin by using less offensive terms (e.g. flaws, imperfections), which tend to ease a person's guilt. He attempts to reduce one's guilt so that the person can attain higher self-esteem. Joel Osteen is battling God within a man's soul . . . God uses the conscience to trigger guilt, lowering an individual's naturally inflated ego. God's way brings about spiritual sensitivity, and subsequently, a true repentance; while Osteen's way brings about spiritual hardness, and subsequently, a false righteousness. Osteen's teaching is not simply neutral, and therefore harmless; it directly opposes biblical teaching, causing great harm to God's ordained process of salvation." Decisionism is a modern phenomena whereby Christians believe they can lead another person to make a decision to become immediately saved. The "saved" person from this faulty evangelism method is then informed that they can be assured of their salvation. The Christian witness, unfortunately, relies upon the error of cheap grace, combined with the true but misappropriated doctrine of the assurance of salvation, to inform the person (s)he is saved. This teaching becomes poison in a soul's search for forgiveness from God. "Mere humans do not have the capability to know exactly when the Holy Spirit takes possession of a soul; therefore they should not hinder God's ordained process of salvation by pretending to know when the person became saved. A person's salvation is reliant upon God's timing and work, not a person's words or works. Only God can judge the salvation of a soul." Positively judging a person's soul wrecks havoc upon a soul, more so than condemning, i.e. negatively judging, a soul to hell. The Holy Spirit is invisible, therefore, pretending to know when he regenerates and/or saves and abides within a person is humanly impossible. There is SO MUCH to share with you! The eBook is slam-packed with challenging teaching by the Bible, Charles Spurgeon, and me. You'll be SHOCKED by the number of errors discovered in the teachings of some of America's most popular preachers. Salvation is a gift from God, with most everyone agreeing with that biblical truth. Therefore, the repentance and faith required in expression towards God is a gift, as well. Not everyone understands this mystery. These two human responses, i.e. repentance and faith, are one aspect of the growing relationship between God and a person. God begins working on the relationship by opening the eyes and ears of a person's heart. 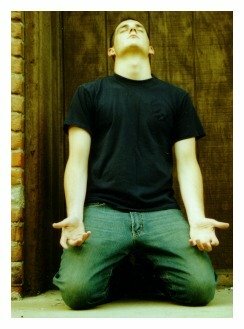 The person then joins in by acknowledging the work through repentance and faith. Finally, (s)he becoming forgiven and eternally saved at God's perfect discretion. It is an incredibly beautiful love story between God and an individual person. People, though, just don't get it. Some people believe repentance to be a "work of obedience" which is biblically forbidden in regards to salvation. Far from a work of obedience towards salvation, repentance unto life is commanded by God. Repentance is the person's agreement to God's word which refers to the person as a sinner. Therefore, repentance is not a "work" as some people define work. Salvation by repentance is not salvation by the law, it is by faith. Charles Spurgeon's sermons and books are thoroughly studied in order to discover how a bold Christian pastor or witness can proclaim God's truth to a listener. Before proclaiming salvation is by faith and repentance, we have to understand what repentance and faith are. What is a definition of repentance? Why repent? How to repent is discussed at length. Repentance Unto Life excerpt, "One paragraph hardly does justice to Spurgeon's thought on this matter. However, a person would do well by covering himself in sackcloth and ashes if he is interested in the type of commitment to biblical repentance that was taught by Charles H. Spurgeon. A complete washing of one's erroneous natural worldview, and the acceptance of a biblical worldview will not happen overnight. Thorough biblical repentance is a gradual process whereby God works his truth into your mind through preaching, teaching, and Bible reading; and, as He does that work, the old and wrong thoughts on these matters are slowly removed." There is so much to learn! Let's get started. You may educate an unregenerate man to the highest degree. Yet, he remains, and must forever remain, dead in sin unless a higher power comes in to save him from himself. In fact, this is how true Christians live; they repent as bitterly as for sin as if they knew they should be damned for it; but they rejoice as much in Christ as if sin were nothing at all. Oh, how blessed it is to know where these two lines meet, the stripping of repentance, and the clothing of faith! You too, I tell you, may humble yourselves before God for a time, and yet remain the slaves of your transgressions. You are afraid of damnation, but you are not afraid of sinning; you are afraid of hell, but you are not afraid of your iniquities; you are afraid of being cast into the pit, but not afraid to harden your hearts against his commands. Is it not true, O sinner, that you are trembling at hell? It is not the soul's state that troubles you, but hell. If hell were extinguished, your repentance would be extinguished; if the terrors awaiting you were withdrawn you would sin with a higher hand than before, and your soul would be hardened, and would rebel against its sovereign. After sharing on Facebook or Twitter below return to GraspingGod.com's Homepage.